The drive system of the melt pump is as important as the gear pump itself, because the control precision directly affects the transmission precision of the gear pump. There are three kinds of driving modes commonly used today: DC motor, AC commutator motor and BrushlessDc System. The DC motor is the most commonly used driving mode today, if equipped well The analog or digital tachometer can easily achieve 0.1% control accuracy. The AC motor is cheap, easy to maintain, and does not need to replace the brush frequently. It can achieve high control accuracy with digital feedback. Brushless DC system is the latest entry into the market. It can control the speed well. The manufacturer claims that it can achieve zero deviation, and the speed ratio can reach 100:1. The shortcoming is that the manufacturers are few and the accessories are hard to get. In recent years, the frequency conversion motor has been popularized in China. It is small in size, accurate in speed regulation, and is recommended for small power equipment. Its disadvantage is that some technologies are not very mature. In order to reduce the influence of additional force on transmission accuracy, gear pumps usually use universal coupling for transmission. The transmission device can be divided into two types, vertical and horizontal. For larger extrusion systems, horizontal transmission is usually used due to the large transmission. 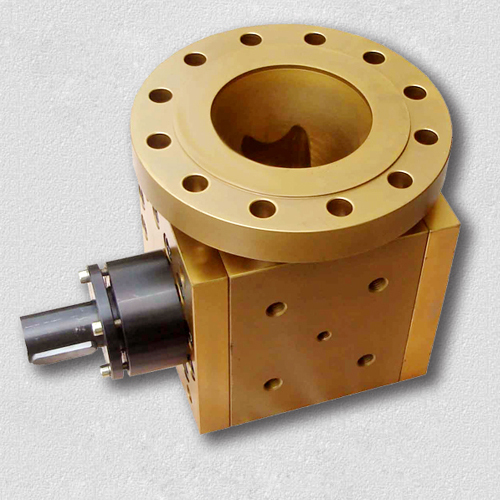 For small extruders, vertical connection is adopted for the rotary device, which has compact structure and small footprint. But the disadvantage is that the extruder chassis can not be made very low.